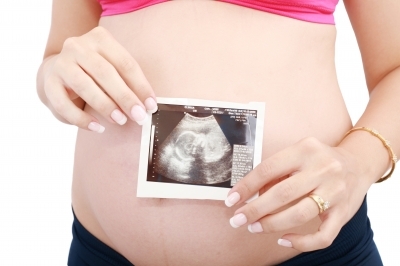 It’s one of the most exciting moments of pregnancy – getting to see your baby for the first time in an ultrasound. But at what cost? 10 News anchor Allison Kropff looks into the dangers of getting that 3D ultrasound. At 35 weeks, it’s a calming feeling for Vereen Robinson to get to see her baby boy. “Ok. He’s in there. He’s sleeping. He looks safe. And he seems like he’s doing OK. It just makes me relaxed,” she says. This is her third 3D ultrasound and she’s had them done with her other two children. She comes here to Meet the Baby. Open since 2005, mothers can get 3D or 4D ultrasounds. “They really, really love it. They get really excited and I think it just really promotes them to be more nurturing, caring and bonding,” says Christine Fremmer with Meet the Baby. We talked with Dr. Dawn Palaszewski at Tampa General Hospital about the dangers. “If these little bubbles form they can eventually collide and cause shockwaves to the tissue around them which could actually destroy the tissue. This has been used for things like liposuction in the past, but it’s not necessarily something you would want to happen to your baby,” she says. Are we talking about the tissue of the mother, or the tissue of the baby? “We don’t really know. It’s just one of those things that the long term. There might be a biological effect long term that we don’t know about yet so we should really try to minimize using the ultrasound,” says Palaszewski. The American Congress of Obstetricians and Gynecologists, an organization of women’s healthcare physicians, has said for a long time that ultrasounds should be used only if there is a medical benefit to the pregnancy. It’s known in laboratory conditions that ultrasound can cause this issue with the tissue so the assumption is the same thing is happening to a woman when she’s pregnant. “I would recommend not doing one solely for entertainment purposes. I would follow the advice of your physician or midwife and only get ultrasounds during pregnancy if they’re absolutely needed,” says Palaszewski. But in the 10 years Fremmer has been with Meet the Baby, she’s never had concerns over whether it’s safe. There is no limit on the number of times a mother can come get a 3D ultrasound at the facility, but they do try to stick to 30 minutes. A mother also has to be under a doctor’s care. “Personally I have never seen any issues, we have moms that come back with second, third and fourth babies,” says Fremmer. Moms like Robinson, who says she doesn’t have any safety concerns.